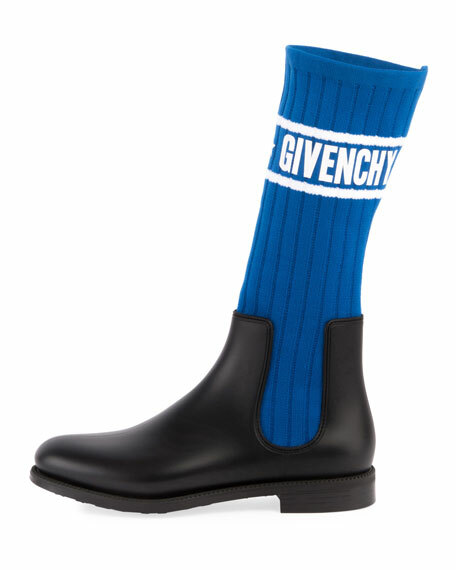 Ribbed-knit sock shaft with logo intarsia. For in-store inquiries, use sku #2352317. 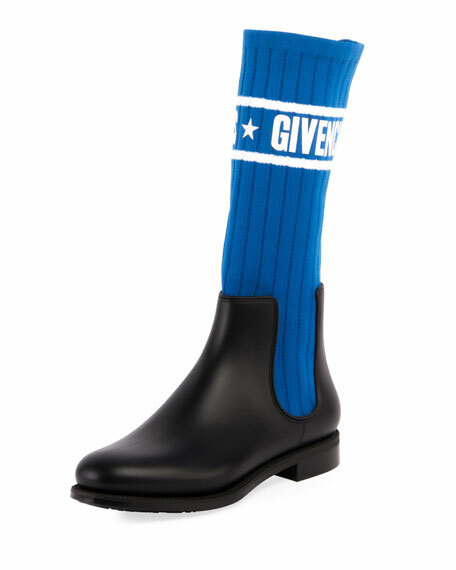 Moncler rain boots in logo-graffiti and smooth PVC. Chunky flat heel with platform. Round toe. Pull-on style. Pull-tab at back collar. Padded footbed. Polyester lining. Lugged rubber outsole. "Ginette" is made in Italy. 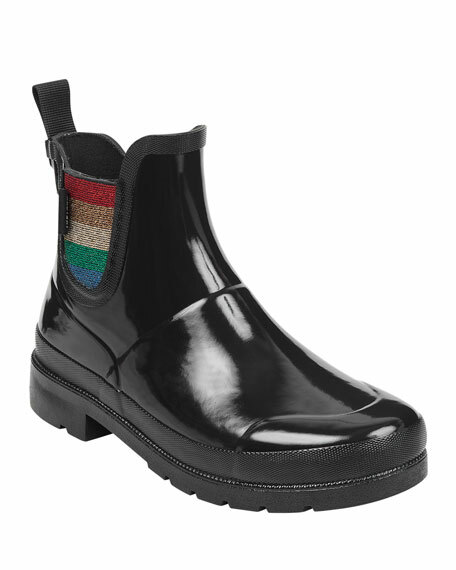 Sorel waterproof vulcanized rubber Chelsea rain boots. 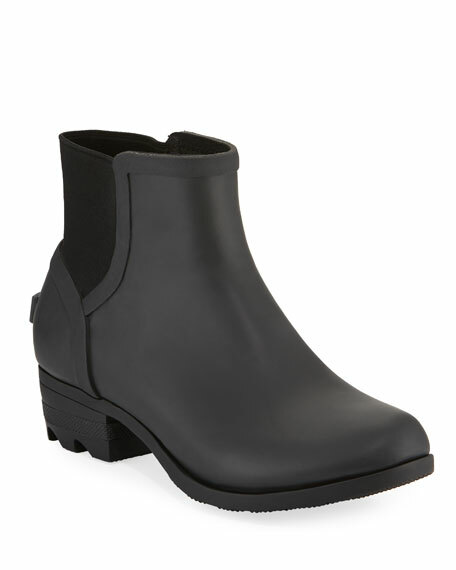 1.5" chunky flat heel. Round toe. Pull-on style. Stretch gore. Logo at heel counter. Fabric lining. Rubber outsole. "Janey" is imported. Tretorn leopard-print rubber Chelsea rain boots. 1" flat heel. Round toe. Gored side panels. Pull-tab at backstay. Padded footbed. Rubber outsole. "Lina" is imported.